Complete engineering services for the (bio-) pharmaceutical and life science industry as well as laboratories. Utilization of engineering modules even during the qualification stage. Preparation and realization of qualification documents. 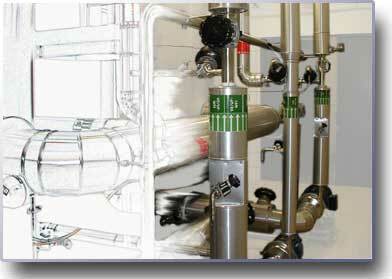 Qualification of chemical / pharmaceutical plants according to GMP requirements from planning to commissioning. Execution of risk analyses, preparation of performance specifications and design review within the scope of plant design and detail engineering. Inspection of plants and appropriate technical documentation. Execution, evaluation and documentation of measurements on completed process plants.